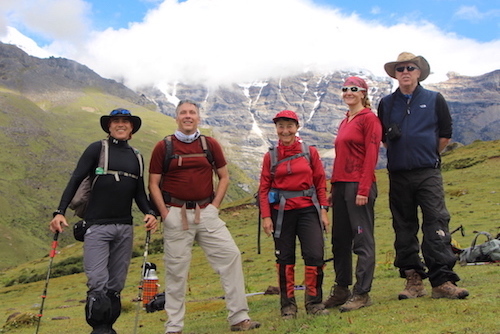 Explore the place that has not been discovered by the masses yet and modernism has not touched its root.Roughly the size of Switzerland, wedged between China and India, Bhutan is inhabited by remarkably friendly people. A country devoid of skyscrapers, shopping arcades, Mcdonalds, entertainment meccas and traffic lights make a perfect place of sojourn for the tired metropolitan minds.Bhutan has long been sequestered from the rest of the world for centuries. its rich heritage, pristine environment and stunning way of life makes one of the most exclusive and sought-after destinations on the earth. Visit to experience the charm and magic of world’s mysterious country-the ‘last shangri-la’. If someone asks how Bhutan Travelers is unique. We are the only one company that provides personalized service and custom-made trips. Bhutan has very humble and friendly people enforcing Buddhist values in their everyday lives. Carrying the mentality that sharing is caring, you will be greeted with open hearts and warm smiles. You can catch the locals buzzing at the farmers market on weekends. The market provides quite a scene almost making grocery shopping look like a colourful celebration. 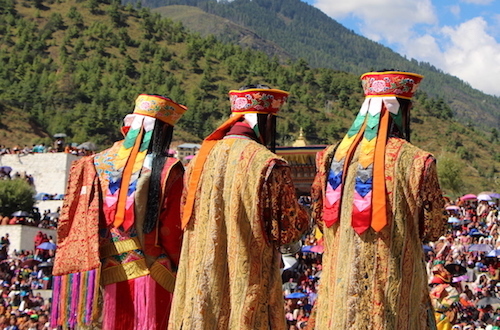 You can witness Bhutanese standby culture and traditions in local ceremonies and festivals. Dine in local restaurants for authentic Bhutanese delicacies. Take a hike through villages and experience a farmhouse stay. Your host will be happy to offer you a cup of butter tea. This allows travelers a complete wilderness experience. 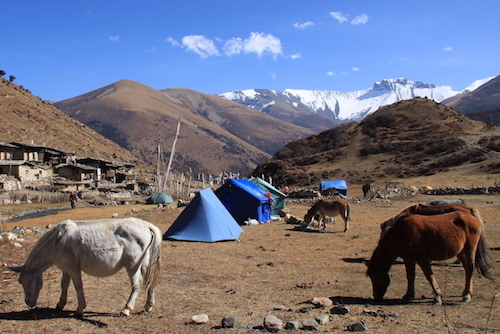 You can trek trails through wondrous Bhutanese landscape. Just imagine wandering through the wilderness with a diverse flora and fauna along gushing streams. The snow-capped mountains, yak herder’s camps and highest settlements in the country are some of the most beautiful views. 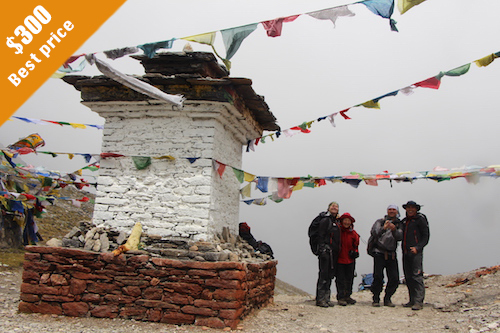 Choose to trek 3500m above the sea level or simple day hikes which areperfect for short duration stay. You must spend at least a day in Thimphu and Paro to get a taste of Bhutan’s urban lifestyle. ‘Café hopping’ is the new trend in these cities. Many Bhutanese are seen going out to try a new drink or a new delicacy on the menu. You can also shop for handicrafts, postcards and stamps or even customize one. In the heart of the city, just near the traffic is Junction, a bookstore which emanates warmth and a snug atmosphere. Grab a book and coffee and spend a quite minutes being lost in your read. At night visit Mojos, the ultimate chill out place with its cosy atmosphere where you can listen to local bands perform. The colourful prayer flags hoisted in almost every mountain top, holy place and even outside one’s home are believed to bless all sentient beings with long life, prosperity, happiness and karmic merit. Buddhist astrology influences human affairs very heavily in Bhutan. Astrology offers additional information often sought by Bhutanese when bringing changes in their lives. 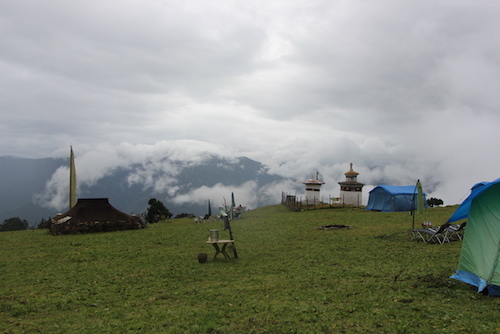 Bhutan is an ideal place to seek for peace and reflect on ones’ spiritual wellbeing. Practice meditating in tranquil spots to cleanse yourself of all negative energy and to reach inner peace. Spending time with Bhutanese people is the best example to show how Buddhist philosophy is woven in the Bhutanese culture. Bhutanese traditional art and architecture is hard not to notice. They are unique, highly decorative and ornamental. The Bhutanese architectural grandeur is is exhibited in the form of Dzongs, monasteries, temples, chortens, bridges and traditional Bhutanese houses. The Dzong architecture is one of the most elegant and harmonious in the world. Archery is a traditional art in Bhutan. It is all about fun bets and banter, a show of intimacy between teammates and a victory dance that follows when metal meets red. Paintings of phalluses and other mythical creatures on walls are a representation of superstitious beliefs held to drive away evil. With the country’s pristine air and mountainous terrain offering a fascinating adventure, Bhutan is said to be the best for mountain biking enthusiasts. The route along Bhutan’s west-east highway is an exciting one with challenging of battling a new pass over 3000 meters every day. 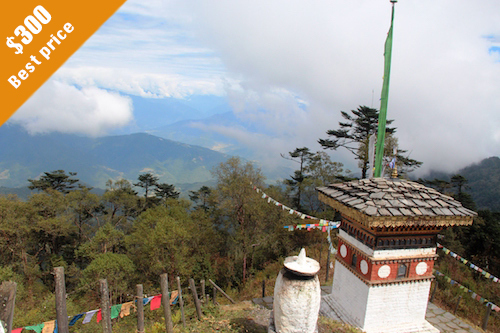 The drop from Pele La to Trongsa, a distance of 70km is said to be the longest downhill stretch in the world. Rafting along the Pho Chu River with rapids of class 2 and 4 is one of the must activities while in Punakha. It is a safe and beautiful activity where you get 360 degrees view of the Punakha Valley and natural scenery. We can also arrange a good kayaking experience if you are looking for more adventure. 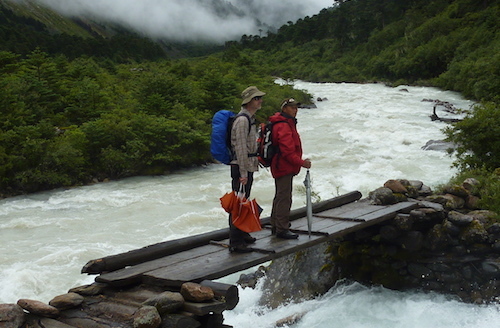 The Hike to Floating Goddess passes against the Pachu River and through scattered hamlets and countryside. 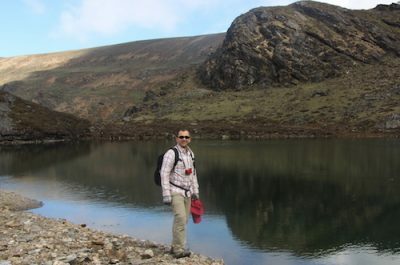 A must-do hike in Punakha. 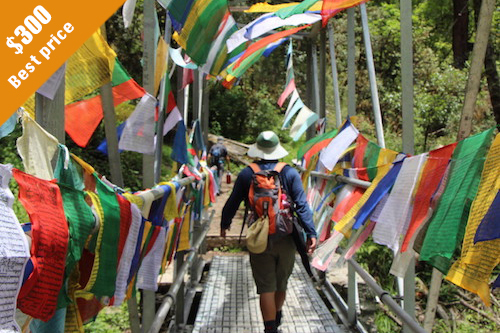 Trail passes through beautiful farmhouses along the turquoise coloured Punakha River.